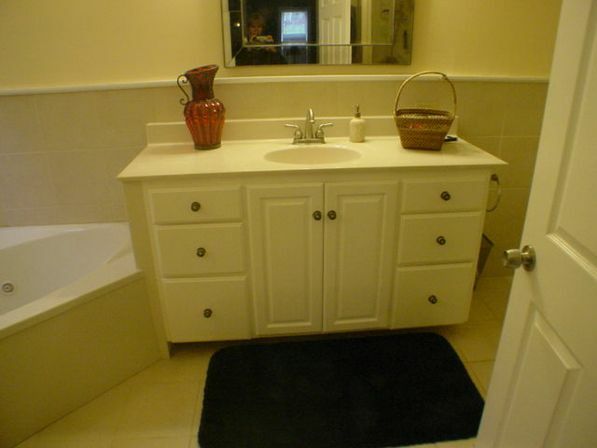 Bathroom is one of the most important places in the whole house. Here you can rest after a hard day at work, relax, take away all the negative thoughts and even restore all your lost energy. That why the interior should be special. Generally it need to be the room made in light colors, definitely clean and be able to provide you with the wave of the energy in the morning or calm you down in the evening. We can’t really call bathroom a living space, but it still plays a huge role in our lives which means that we should be serious while equipping it. The bathroom interior should be in a harmony with the rest of the house and be attractive and cosy. There is always a mass of things that we keep in this place such as personal hygienic stuff and the sanitary engineering cleaning products. So to make all the things settled up we need smartly choose a place we gonna keep all this in which. 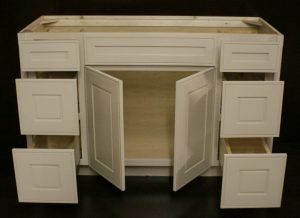 And the bathroom base cabinet will perfectly handle this. This interior decoration should be definitely chosen based of the bathroom general decoration, the place’s sizes and the quantity of the people in the family. 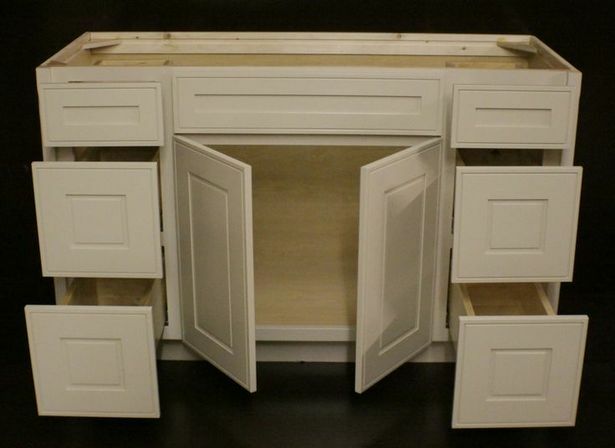 The most well-known variant is a bathroom base cabinet with the two doors. 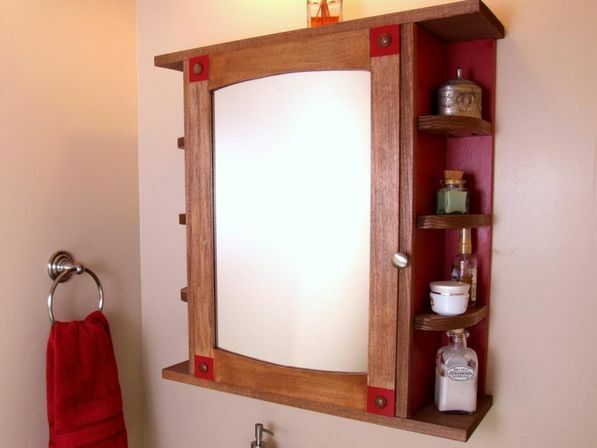 It’s pretty compact and will perfectly fit every small room. There also should be a shelf inside that can be regulated on the needed height. You can choose the floor models with the legs and this is gonna be a really actual variant if you have the heated floor. 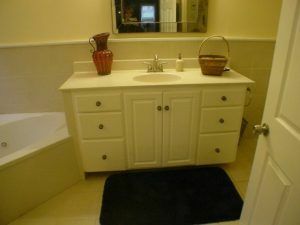 You can also choose the bathroom base with the rollers so it’s easy to move it while cleaning. So it all depends on your taste and preferences. 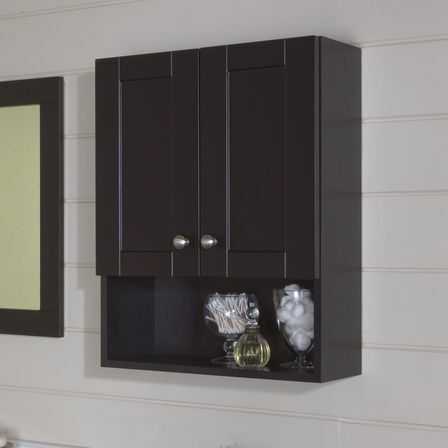 If you have way enough space in the bathroom then you can place even two bathroom base cabinets: the mobile and the stationary one. You can keep all the needed accessories in the stationary one: the shower kits, sanitary engeneering cleaning products and etc. 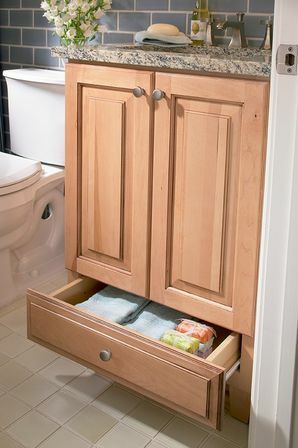 the mobile bathroom base cabinets can be easily moved to the place you want it to be. 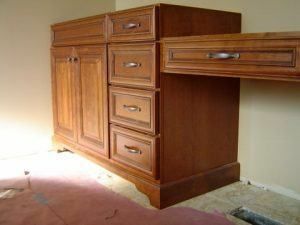 The bathroom base cabinets material. First of all you should not forget that this furniture piece is gonna be placed in the place with the high moisture level. So to produce it there are used the special materials and technologies. The first and the main variety is the is the moisture proof laminated MDF with the edges covered by plastic. The water doesn’t go inside such material. Also there can be used for production the metal and glass which are the perfect materials for the zones with the high level of moisture. The wooden massive can be also used, but only if it’s made from the special type of the wood and treated in the right way. The wood should be covered with the special moisture-proof product and after with the special varnish. 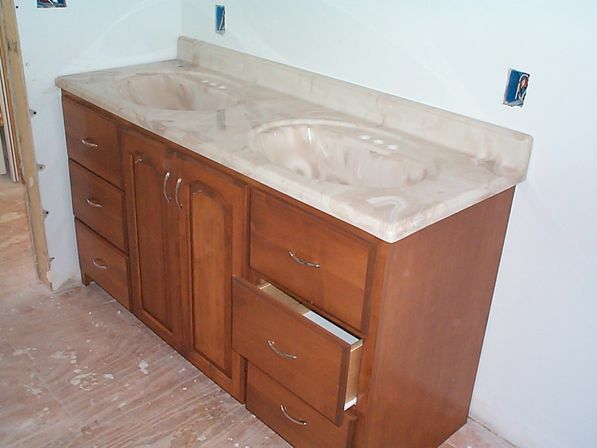 You can also find and buy the bathroom base cabinets made from the stone. 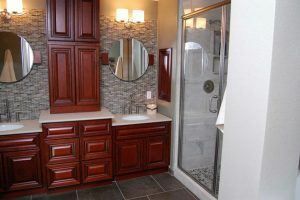 So choosing the material you should really think about your own preferences and the main style of the bathroom interior. Nowadays you can buy it made in every possible style. It can be classical, modern, country, ethnic or any other. Classical style will look perfect in not a really big bathroom. This kind of furniture has he smooth, streamlined lines and the decorative embeddings. The main color for it is a color or water and purity such as white and light blue. 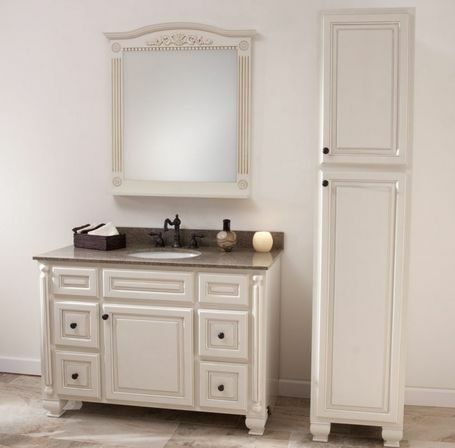 If you decorate your bathroom in the traditional European style then you can choose the antic looking furniture. This vintage look of the bathroom base cabinet, the elegant accessories and the twisted decorative elements will look really gorgeous. The real romantics can choose the bathroom base cabinet made in the pink color and fill the bathroom with the really cute little things such as aroma candles, heart shaped soap and the small cute baskets full of aroma bombs. 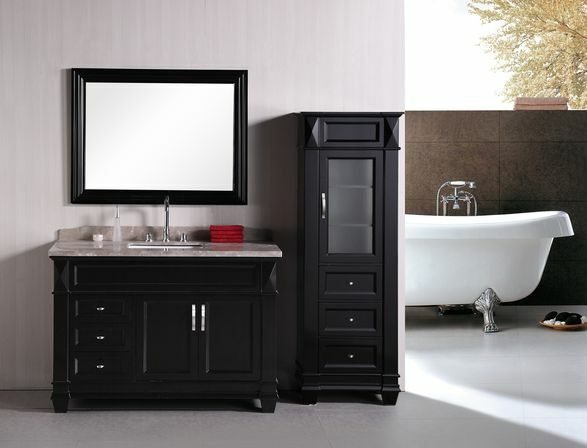 It’s gonna look really beautiful and elegant if you choose the bathroom base cabinet made in a modern style. In this case it should have the straight geometrical forms, and the main materials should be the metal, glass, chrome and the mirror embeddings. 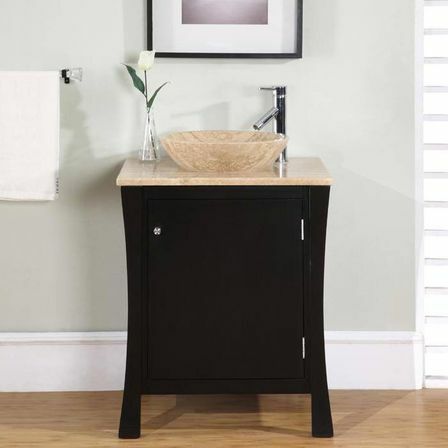 How to make a right choice buying the bathroom base cabinet. There is an opinion that the import furniture has a better quality then the one made in your country, which sometimes is really not true. Because most of the times the material which is used is really same, but the technologies it’s made with truly allow to compete with the foreign production. 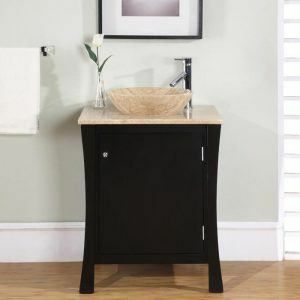 If you decided to buy the bathroom vanity base cabinet with the sink, then you should carefully look around it to make sure there are no stone chips and dents. If it has a good quality and there no inside stone chips then you will hear a good sound. If the sound you heard is bad that it’s better to refuse this purchase. There is also another good advice for those who decided to buy a bathroom vanity base cabinet with the sink and it’s not to put it closely to the wall because then it’s gonna be impossible to clean the space behind it. 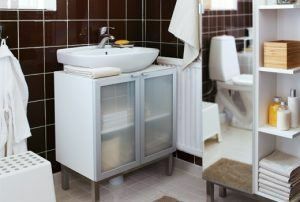 The really interesting solution that the ones who has the big area bathrooms use is not to make the bathroom looking full of unnecessary accessories and details they construct some kind of a moisture-proof gypsum plasterboard cabinet that can almost fully replace all the practical bathroom furniture. And still look esthetical and not far going from the main stylistic decoration. 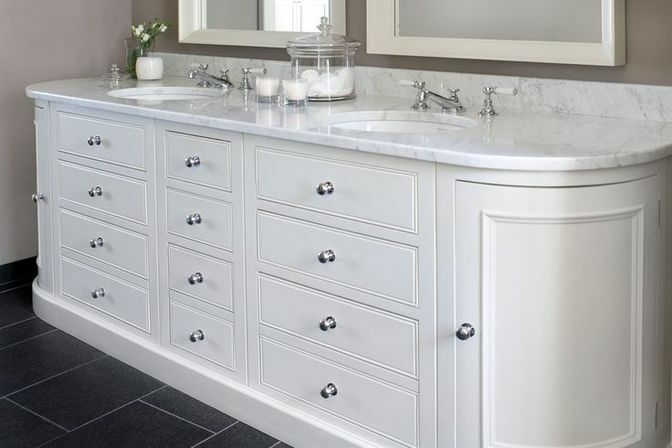 So after all we can just say that you should be ready that you gonna face a whole mass of varieties of the bathroom base cabinets and we hope that you gonna make a right choice. And always remember that even if you don’t find the one you need, you can always make it customized or even make it by yourself.